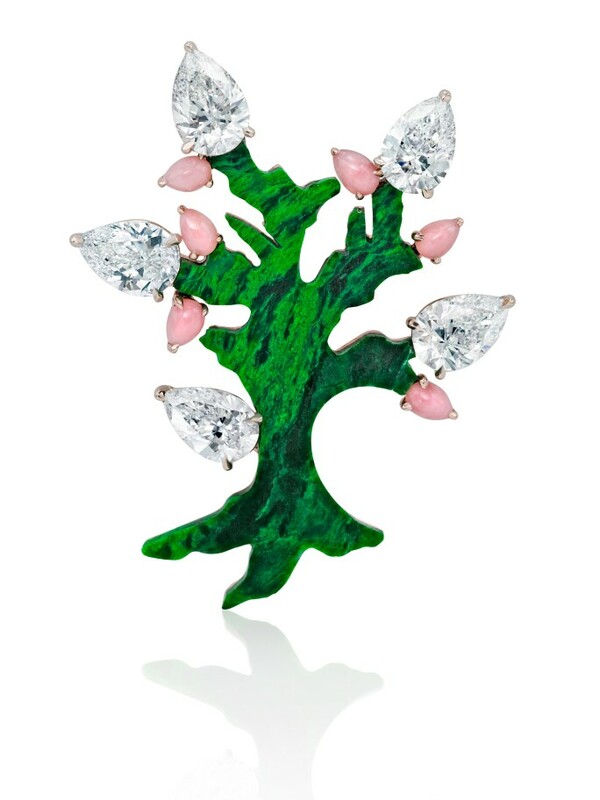 In September 2018, Sotheby’s Diamonds, the retail boutique specialising in the world’s finest diamonds, will stage an exhibition dedicated to one of its most iconic designs: The Tree Brooch. The retrospective, which will take place at Sotheby’s Hong Kong from 12-19 September, will showcase a selection of designs created over the last decade, all unique pieces capturing Sotheby’s Diamonds’ mastery in marrying world-class diamonds and unexpected gemstones and materials. 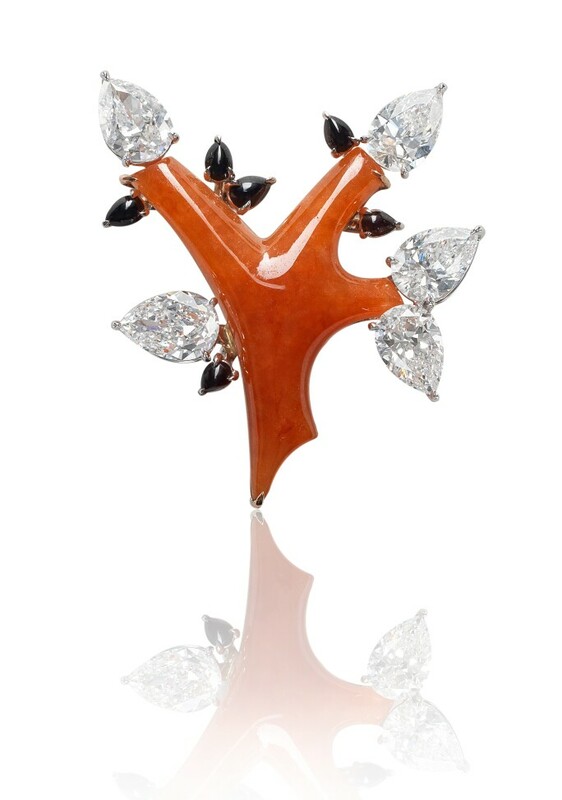 The Tree Brooch harks back to the very roots of humanity and jewelry design. The collection was inspired by the tree of life, an ancient symbol for creation, knowledge and immortality across cultures and civilisations. Widely interpreted in art, the tree motif is recreated in this series in stylised forms and colour palettes through the use of jadeite, organic amber and maw-sit-sit, which depict the glorious changing seasons and the riotous richness of nature. 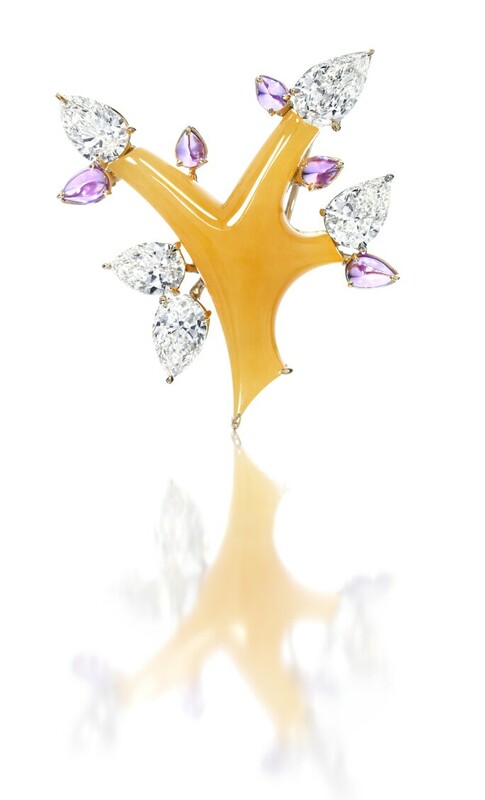 The artfully carved trees blossom with pear shaped white or yellow diamonds, accented with coloured stones including autumnal onyx, pink opal representing the soft tones of spring and purple sapphires flushed with the spirit of summer. 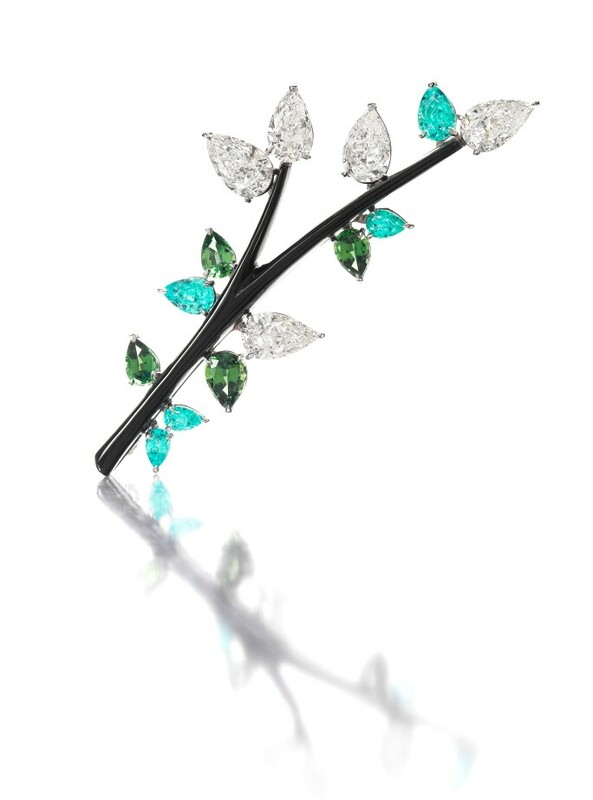 The Tree Brooch also defines itself by its versatility and reminds us that, as one of the earliest forms of jewelry, brooches can be worn for various occasions and in different ways – in groups of clusters, for individuality, on a belt, at the waist, on the shoulder or in the hair. The exhibition will be on view at Sotheby’s Hong Kong from 12-19 September 2018.